action | Go, Leader, Grow! Here in Indiana, we are praying for an early Spring. Winter has been rough this year. 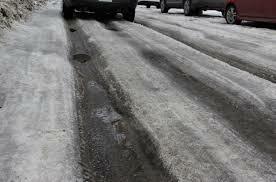 My neighborhood is full of ice ruts making driving difficult and unsafe. My wife even got stuck in one the other day requiring some good Samaritans to come to her rescue. Ruts don’t get us where we need to go. You’ve heard the expression “think outside the box”. For me, a better way to say this is “think outside the ruts” because it’s in a rut where I get caught up, stuck, needing help. There are a lot of great resources available to us today that we didn’t have just a few years ago. The amount of reading free reading material is enormous. Check out the apps Flipboard and Zite. You can select topics you want some new exposure to. The apps are easy to use and are available on your smart phone and tablet. Venture outside your expertise. Explore new worlds. Are you in a traditional business? Read about entrepreneurs. Find out how they tackle obstacles, getting a product to market, how they deal with staffing issues. Not tech-savvy? Read what is happening in the high-tech world. Learn. Grow. Become inquisitive. READ. Do you spend most of your time during your work week with your colleagues? It’s time to branch out and meet new folks. Attend a Chamber event. There are many in my community. I bet there are in yours. How about going on a business call with your outside sales folks. You can learn a lot about your department and company by doing this. Are you on LinkedIn? You can meet a lot of great people here and you will be exposed to even more great reading and insights. I recently made a connection with a local business owner who was in the process of doing business with my company. I had the opportunity to help smooth out some rough communication and misunderstanding in this process. That wouldn’t have happened if I hadn’t broadened my own network. When was the last time you looked at your business through the lens of your customers? It’s difficult to do. But we can go for years thinking we are producing products customers want all the while they are slowing leaving our business and products for someone else who “gets them”. Mystery shopping initiatives can help change your perspective. Does your company collect and monitor customer feedback? Pay attention to it! Act upon it! Let your customers know you appreciate their input! Spend time with a colleague discovering what they do. You probably don’t know how what they do impacts your work (and neither do they). You can learn so much more about your work and your company by doing this. Ask a lot of questions. Ask to see the reports they review. Find more of the “story behind the numbers” while you’re with them. Getting out of rut demands motion. Many times, you sit at your desk for hours (right?). Get up and move. Walk up and down the stairs (if you have them). At my company, we built a walking path around our campus. My CEO and I had our 1-on-1 walking this path multiple laps (when it was much warmer). Moving can clear your mind. Get out of your rut. Get some exposure to new ideas, thoughts, and perspectives. Your mind, department, and company will thank you for it! As you may know, I work for a credit union. Several years ago, I had the privilege of speaking at a Credit Union Times conference at Disney World Resorts. My presentation focused on how credit union leaders can truly impact their communities. This post is a summary of that presentation. 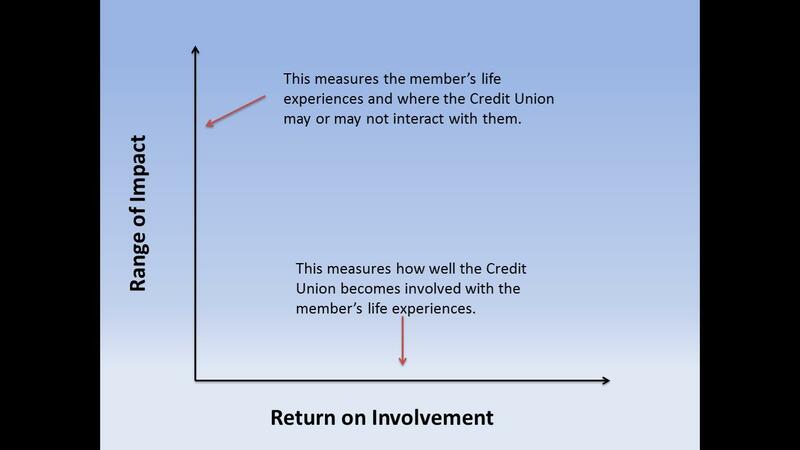 It is written from the perspective of a financial institution – specifically a credit union. But there are lessons that can be learned for any industry. Today, many people are looking that “sure thing” – something to believe in, to hope for, that safe haven – but the reality is that there are very few sure things in this world. Our customers/members are wanting, needing, and seeking “sure things” in their lives. Guess what? YOU can be that sure thing! In this post, I want to share how you can create an incredible ROI – a Return on Involvement – that will positively impact someone else’s life while it grows your business, your company’s brand, and boost your personal reputation. None of us can afford to waste time, resources, or energy becoming involved in things that go no where. 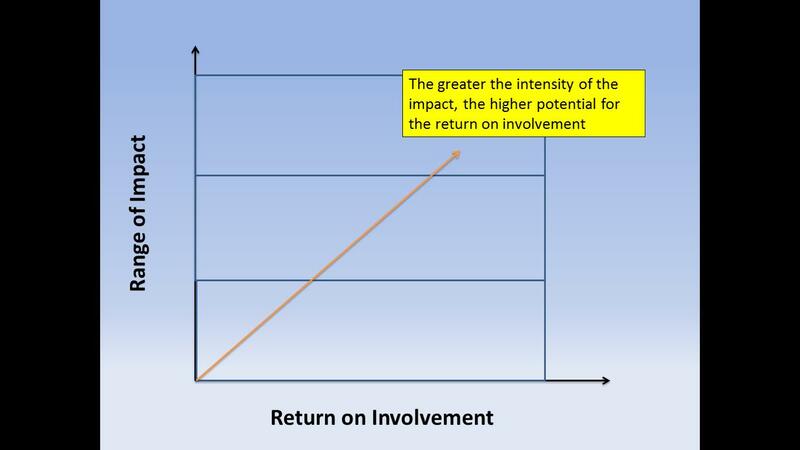 In thinking about this ROI, I suggest there are two variables that we need to consider that will help us determine the impacts of the levels of return from our involvement. The Range of Impact does not have to be harsh or intense. 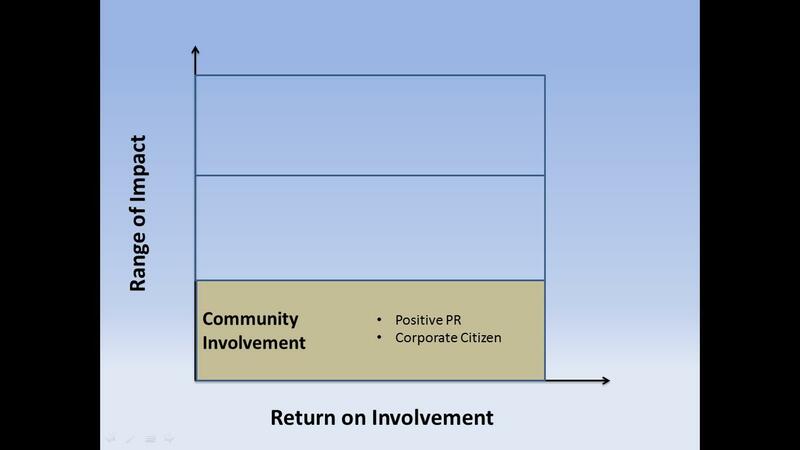 In fact, your company already is doing activities that positively impact your community. From Junior Achievement to Habitat for Humanity to food drives to mentoring a student, Community Involvement is the first level of impact that most companies participate in. We get positive PR from this as we demonstrate our desire to become better corporate citizens. We do good things! There is impact on this level, but typically it is not very personal. Let’s look at the next level of impact. Personal Investment provides us more opportunity to personally impact our members/customers. At this level, it is not the company that acts, but it is individuals within the company that begin to get more involved. How does this happen? Most people want to do these things. And it usually surrounds that person having a problem that needs to be solved, a need that they want met, or a dream they have that we can help them fulfill. Years ago, a sales associate of ours was chatting with members who she had built a good relationship with. On this day, the couple was sharing their process for adopting a baby (they were unable to have children on their own) and how expensive it was. They didn’t think it could happen due to costs. The sales associate suddenly connected some dots and asked them if they owned the home they lived in. “Sure, but why do you ask?” The sales associate explained how a home equity loan would provide the needed funds for the adoption. “We can use the funds for an adoption?” “OF COURSE!” This family has now grown to 2 children because a sales associate became personally involved in these members’ lives. What an ROI, eh?! 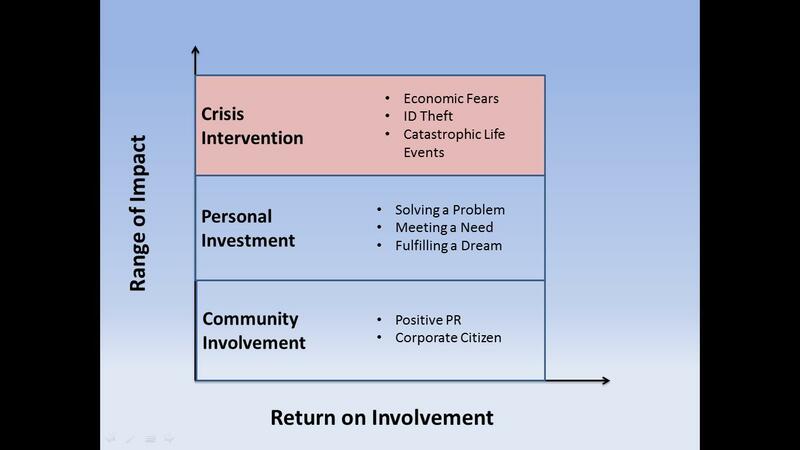 The third level of impact is Crisis Intervention. Bad things happen to good people. And during these times, people need leaders like you and me even more. This level requires that we have already built solid relationships with our members/customers so we know what is happening in their lives. This level requires trust between our members/customers and us. Are you a leader of leaders? Do your leaders understand their ability to impact their members/customers? Do they know how to build trusting relationships today? Are they willing to make the personal investment that can ultimately change someone else’s life? This is true: We serve our communities best we when, as leaders, seek to personally impact our members/customers at their greatest point of need. Our nation is moving out of a hard economic period. Some areas are recovering faster than others. People are still in need of a trusted partner. YOU can make a difference today. Listen. Act. So how come we have so few entrepreneurs? Study the type of ideas on which highly successful growth companies were originally based, and you will have to conclude that the reason there aren’t more successful entrepreneurs is that there aren’t many people with the need or nerve to try out their ideas in the marketplace. The successful entrepreneur is the person who makes an idea happen, even if there are a lot of unexpected problems, and even if it’s not a very good idea in the first place. 2. Take a smart step as quickly as possible toward their goal. What’s a smart step? It’s one where you act quickly with the means at hand. What you know, who you know, and anything else that’s available. (“I know a great chef, and if I beg all my family and friends to back me, I might have enough money to open a place.”) You make sure that step is never going to cost more than it would be acceptable to you to lose should things not work out. And you bring others along to acquire more resources, spread the risk and confirm the quality of your idea. 3. Reflect and build on what you have learned from taking that step. Act. Learn. Build. Repeat. This is what defeats uncertainity…providing that you actually start and try to make your idea a reality. Be honest. If you had a gas or water leak, you’d fix it. If an investment was draining your portfolio, you’d sell. So, why are so many smart leaders willing to accept “discretionary effort” as an inevitable feature of — and drain on — business today? Why do we allow employee energy — a precious natural resource — to routinely be wasted? Leadership IQ research indicates that 72% of employees polled admit they aren’t giving their best effort. And, in the same study, 77% of their managers agreed. There’s clearly a disconnect between what employees are capable of and what many actually do. So organizations respond with a variety of initiatives, programs, and training designed to tap into that differential. Leaders learn and work valiantly to apply strategies and skills to cultivate greater effort from employees. But this approach is limited and time-intensive. As a result, we let about 30% untapped potential go down the drain. The work of individual leaders with their employees to tap discretionary effort is admirable, but it’s also a lot like trying to drain the ocean with a teaspoon. Perhaps it’s time to allow a more holistic, systemic approach to replace the time-consuming, ad hoc activities undertaken by busy managers and leaders. Instead of trying to coax the latent skills and energy out of employees, activate unapplied capability or go through the machinations of engagement, involvement, and interest (in an effort to tap discretionary effort), perhaps it’s time to approach the challenge differently. Time to change what’s required to “just get by” to close the discretionary effort gap. What if we raised expectations to better align with actual capacity? What if excellence was the standard? What if one’s best effort was required to “just get by”? What if we eliminate the whole idea of discretionary effort by making 100% (or darn close to it) the performance goal? Not as harsh as it sounds. Expecting people to activate and realize their full effort every day has the potential to drive productivity, innovation, and results beyond most other improvement initiatives — but only when organizations commit to five key priorities. There must be no discretionary or untapped effort by the organization when it comes to recruiting, hiring, and retention. A team of highly skilled and capable individuals will inspire, support, and drive each other toward higher levels of effort. Sustained high levels of effort require training, retraining and training again to keep skills sharp. Enable people with the information, knowledge, and capability they need to do their jobs with ease. This is the only way that bringing forth their best 40-60-80 hours each week is sustainable. Supply the equipment, tools, and resources to support excellence. Failing to do this shows up in study after study as one of the greatest frustrations to employees. And not having what is needed to perform at the highest levels becomes permission to back off. This creates the untapped potential that is discretionary effort. Organizations that demand optimal effort and performance must be willing to share the rewards. While money may not be the top motivator for most employees, inequity is definitely among the most powerful de-motivators for most of us. Compensation that’s transparent and aligned to the results delivered enables sustained best effort. Work-life balance. The kind of environment characterized by everyone working at 100% effort is more intense than then normal 9-5 grind and requires the organization to honor and encourage principles of work-life balance. Intense effort demands intense rest. Employees must be able to escape their jobs, turn off their cellphones, and have time to rejuvenate and replenish the energy invested in their work. Given the performance pressures most organizations experience, the time might just be right to de-emphasize the tactics of involvement and engagement, and begin considering a broader strategy to drive results by taking discretionary effort out of the equation. What could your organization do with another 30% effort by employees? What other support is required to really close the discretionary effort gap? Have you heard the phrase “greasing the skids”? The phrase may come from logging. 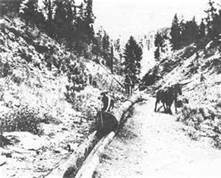 During the period of the “skid” method it was necessary for one man to follow the team to lubricate the “skid” with oil so that the logs would slide easily. –Oregonian (Portland), 3 Jan. 1890. How are you at greasing the skids at work? Our roles as manager/leader (many times) is the be the skid-greaser – insuring that things get done easier, smoothly, efficiently, etc. In our business, we introduced online account opening nearly 2 1/2 years ago. Folks could now begin a brand new banking relationship with us without having to visit a branch. That was a new way to do things! But, once someone became a member (we’re a credit union), we would send them out a form letter, signed by our CEO, that would welcome them with all the flare and excitement of and IRS document. [yawn!] There had to be a better way to do this. If a person chose to open an account online (something pretty cool to do), then we needed to welcome them in a non-traditional manner. I started to noodle an idea of welcoming them via a video link embedded in an email. I shared this idea with our Marketing team. I wrote a rough draft of a script and suggested an employee who could “pull off” the acting part of this welcome video. Next, my eServices team began to talk about how this video could/should lead to “onboarding” new members. They began to meet with a rep from Marketing. This collaborative group started to meet regularly to talk about how we could deepen the relationship with these newest members. The work and results of the work have proven to be quick effective. New members are acquiring more of our products/services and are very satisfied with us. Note: most of these new members have not physically spoken to us. This has all been done in a virtual basis. Why share this? I played basically no further role in this process after sharing my initial thoughts. My team and Marketing took that first idea and, with no obstruction from me, ran with it. I greased the skids. So here’s your question: what process or initiative are you working on that you (as leader/manager) need to begin greasing the skids for? We can either be a log jam for our teams in their work or we can get ahead of the work and grease the skids. This is a great opportunity to serve your team and watch them work collaboratively. It’s ok to get out of the way, as long as you are there to help keep the process going and flowing. Remove obstacles. Encourage the team. Give them resources. And when they get great results, praise them. Brag about them. Show them the next opportunity. Just keep on greasing the skids. Are you good at starting something new, but struggle to finish? If you are like me, you develop incredible plans. Big ideas. Remarkable dreams. But your story seems the same. It’s a great place to begin, but it’s not enough. The story you tell isn’t the one you start. It’s the one you finish. One summer my next door neighbor and I decided to build a tunnel in our back yards. His dad had given him an “army shovel” and we decided to put it to good use. An army shovel is basically a large spade with a short handle on it. The only thing I could imagine it being used for is digging latrines. To us it was perfect, probably because it was the only tool we had. His parents typically grew a vegetable garden every summer, but for some reason they didn’t that year. After putting our 8 year old brains together, we hatched a plan. We would dig two gigantic holes, one on each side of the garden, and then connect them underground. We were gong to build a tunnel. I know what you are thinking. Awesome, right? Best summer ever, right? Wrong. Our plan was incredible, but we didn’t finish. We began what felt like the most important project of our lives taking turns digging with our much-too-small shovel. You can imagine how excited we were as we watched the hole get deeper and the pile of dirt grow larger. Every five minutes we would pause just to give each other a chest bump. By lunchtime we were beginning to grow tired, and before dinner we quit. I don’t remember making a decision to stop. It just happened. With each scoop of dirt, the amount of change that took place seemed to grow less and less. As our initial enthusiasm wore off, the work became more difficult. We stopped caring and we gave up. And we did what so many people do, we moved on to the next big thing. It was the first of many “incredible projects that would die without being completed. 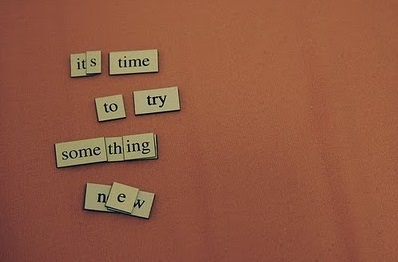 When we start something new we often begin with an incredible amount of energy and enthusiasm. There is nothing better than that moment when we stand on a bare patch of dirt with an undersized shovel in hand, imagining the tunnel of awesome. Then the work becomes hard. We are distracted by glasses of lemonade and plates of cookies and Bugs Bunny cartoons. We make excuses, like not having a bigger shovel or even a backhoe. We blame our friend for having a stupid idea. And we quit. Starting projects without finishing doesn’t change our story. But every project has what Seth Godin calls The Dip , and is difficult to see through to the end. Here are 7 ways to help you go from being a dreamer to a finisher. 1. Vision. Define where you are headed and why you are doing it. When the work becomes tough, use your vision as a reminder. 2. Discernment. Not every project is worth pursuing. It’s okay to quit the ones that are not worth pursuing, but be careful not to quit the ones worth pursuing. 3. Share your vision. The expectations of others can be a powerful motivator. Just imagine the peer pressure if I had told kids at school about my summer project. 4. Have the proper tools. Digging a tunnel with a spade was never a good idea. Don’t frustrate yourself by not being adequately prepared. Find the correct tools and people to help you with your dream. 5. Deadlines. Give your project a time-frame. Instead of trying to meet one big deadline for the end of the project, create smaller ones that you have to keep along the way. 6. Rewards. Everyone enjoys a present. Build a reward system into your plan. 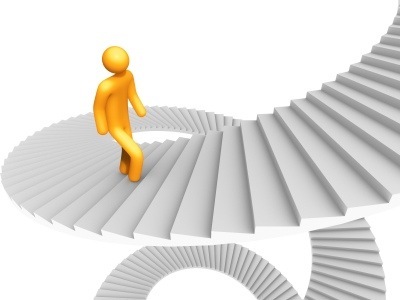 Each time you accomplish a step towards finishing, give yourself and your team a little bonus. 7. Display Accomplishments. Show off what you have done. Let others see the fruit of your labors. Let your team be encouraged by the visible evidence of progress. Having something to show for your work will help you to keep your hand to the shovel. Any work that is worth doing will be hard. Unfortunately too many give up just before they start to see the benefits of their effort. Find ways to help yourself go from being a starter to a finisher.